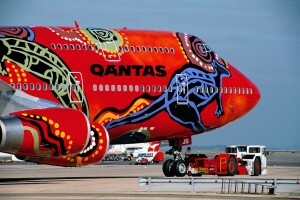 Qantas has taken delivery of its newest Boeing 787-9 Dreamliner, which features unique Indigenous livery that showcases the artwork of the late Northern Territory artist Emily Kame Kngwarreye (Karma Nung-war-ray), recognized worldwide as one of Australia’s most significant artists of the late 20th Century. Based on her 1991 painting, Yam Dreaming, the design depicts the culturally significant yam plant, an important symbol in Kngwarreye’s Dreaming stories and a staple food source in her home region of Utopia, Central Australia. 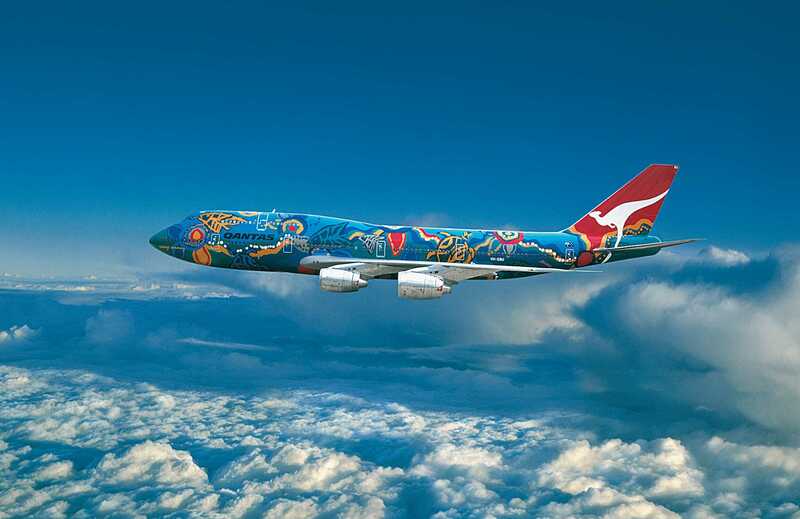 Adapted by leading Indigenous-owned design studio Balarinji, this special livery, which includes close to 5,000 dots on the aircraft, took a team of 60 people more than 10 days to complete. Following a 13,000-kilometre journey from Boeing’s Seattle facility, the aircraft touched down in Alice Springs, Australia, to a warm reception by members of Kngwarreye’s family, who were joined by government officials and local community members. 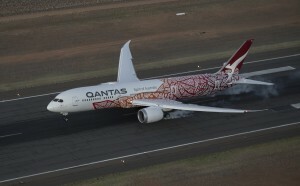 “As the aircraft enters our international fleet, we believe this Dreamliner, through colour and image, will tell a story of our unique Australian landscape and, by sharing our Indigenous culture with the world, the important story of reconciliation,” said Alan Joyce, Qantas Group CEO. 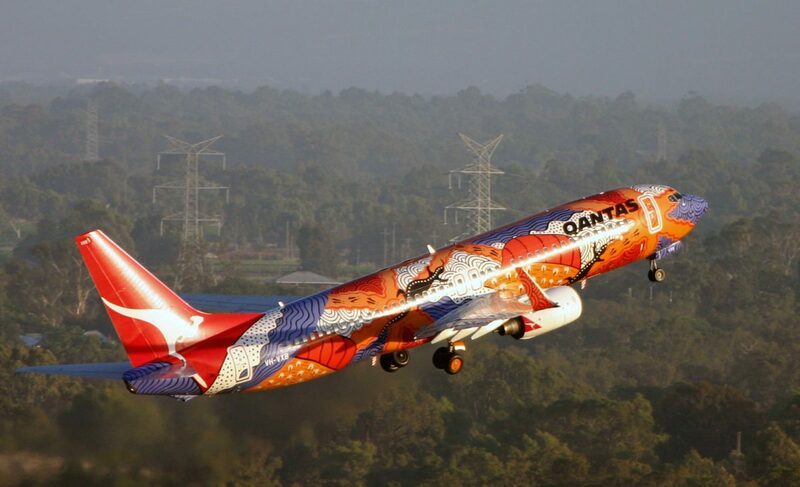 Registered as VH-ZND, this aircraft carries the fifth design in the Qantas Flying Art Series, which started more than 20 years ago and is the only one dedicated to international flights. It will fly several domestic services for crew familiarization before it enters service on international routes in late March. “Yananyl Dreaming,” illustrated on a Qantas Boeing 737 in 2002 depicted the dramatic landscape surrounding Ayres Rock. 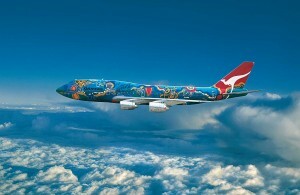 “Wunala Dreaming” appeared on a Boeing 747-400 aircraft from 1994-2011. 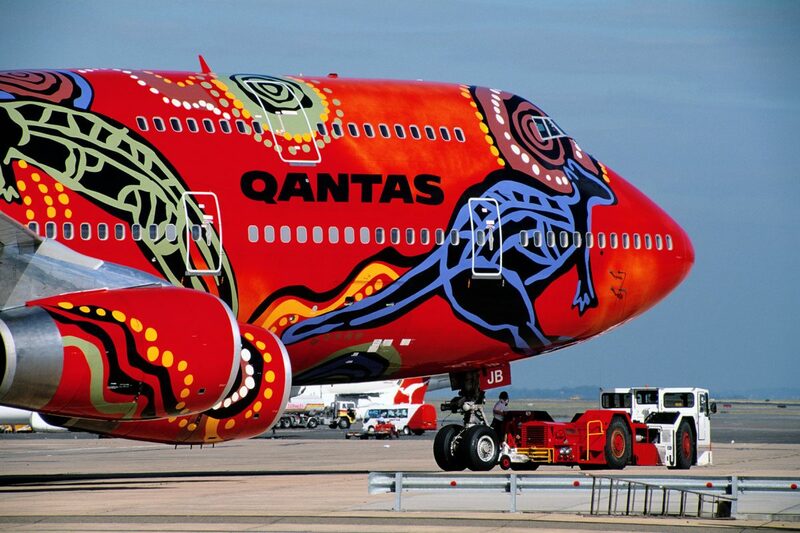 “Nalanji Dreaming” appeared on a Qantas Boeing 747-30 from 1985 until the aircraft was retired in 2005.